Product tip of the month : MAC Prep and Prime Skin for humid and hot summer days! On your wedding day you do want to look Absolutely Gorgeous all day and night long. In Barcelona its especially important to use good make-up products since it gets very hot and humid in the summer and there’s a risk for your make-up to come off. 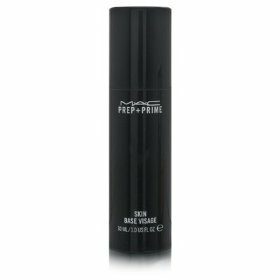 MAC’s Prep and it is easy to use as you apply it the same way as a moisturizer before you apply foundation. I use this product on all my brides since it evens out the skin and makes it extra smooth. It also gets rid of excess oil and calms down skin redness (which is quite common for a nervous bride). Furthermore, it makes it easier to apply foundation and powder and most important it keeps you looking Absolutely Gorgeous all through your big day!